The quest to find the origins of Europe‘s favourite ingredients, the recipes that have evolved through generations, the traditional foods that have remained popular, their re-emergence in the kitchens of imaginary bakers and visionary chefs … the start of a new food revolution. This is the interaction between people and place – the fields and forests, the seas, rivers and lakes, the mountain pastures, the settled estuaries, the plains and steppes, the allotments, plots, rooftop gardens, terraces. The Fricot Project is identifying all the indigenous produce and products that make up the traditional, popular foods and the baking and cooking methods throughout Anatolia, the Caucasus and Europe. This is the quest to find the origins of Europe‘s favourite ingredients, the recipes that have evolved through generations, the traditional foods that have remained popular, their re-emergence in the kitchens of imaginary bakers and visionary chefs … the start of a new food revolution that has roots in sustainable food security and the protection of localised employment. This is the interaction between people and place … the fields and forests, the seas, rivers and lakes, the mountain pastures, the settled estuaries, the plains and steppes, the allotments, plots, rooftop gardens, terraces … and produce! This is the opportunity to talk to artisanal and small-scale food producers — bakers, cafe cooks, cattle (beef and veal), goat, pig, poultry and sheep farmers, cheese makers, chef-restaurateurs, chocolatiers, confectioners, fish processors, food educators, food innovators, freshwater, inshore and offshore fishers, grain farmers, grocers, legume farmers, patissiers, vegetable farmers and assorted people working in small-scale and family food production — to discover whether fresh and local are the true ingredients in a new world order of food that is not dominated by exports and imports. realising the benefits and implications from small-scale food activity on sustainable food security. The Fricot Project exists to promote traditional food cultures, clever food tourism, indigenous food produce and artisanal products … to celebrate and define sustainable food security. Traditionally made with butter, sugar and oatmeal, shortbread can be made with rice, semolina, spelt and wheat flour or with combinations. It is also flavoured with herbs (thyme) and spices (cumin) and decorated with flaked almonds and candied fruit. Lemon or orange zest can also be added to the dough. This is a modern version that produces a crispy shortbread. Sieve baking flour into large bowl, add butter and rub in. Add sugar and second flour, and seasonings. Form into a dough and press into a baking tin. Prick surface liberally with fork. Bake for 70 minutes, until the shortbread takes on a rich brown colour. Meat and potato pies are a traditional dish of northern England, especially the counties of Cheshire, Lancashire and Yorkshire, where meat and potatoes have always formed the basis for a hearty meal. Packed in a pastry the meal becomes portable. These pies have never been a home-baked product, largely because they have always been ubiquitous in the cafe and chip shop culture of north-west England, Holland’s version being the most popular of the mass-produced brands. Made with beef, potato and yeast extract in a shortcrust pastry, Holland’s meat and potato pies are also synonymous with sporting events. Meat and potato pies, as they are known today, began as a workhouse product, are probably related to Irish mutton pies, and were hardly known as a recipe in cookbooks. Charles Elme Francatelli’s A Plain Cookery Book for the Working Classes, published in 1852, describes a meat pie and a potato pie. Of whatever kind, let the pieces of meat be first fried brown over a quick fire, in a little fat or butter, and seasoned with pepper and salt; put these into a pie-dish with chopped onions, a few slices of half-cooked potatoes, and enough water just to cover the meat. Cover the dish with a crust, made with two pounds of flour and six ounces of butter, or lard, or fat dripping, and just enough water to knead it into a stiff kind of dough or paste, and then bake it for about an hour and a-half. Slice up four onions and boil them in a saucepan with two ounces of butter, a quart of water, and pepper and salt, for five minutes; then add four pounds of potatoes, peeled and cut in slices; stew the whole until the potatoes are done, and pour them into a pie-dish; cover this with stiff mashed potatoes, and bake the pie of a light brown colour. Our version has an Irish stew filling and a peppered crust. This is essentially an Irish stew recipe. The quantity is much more than you will need for the filling. Arrange lamb in the bottom of a large pot, turn heat to medium and allow fat to run out of the bones. Stack potatoes on top of the lamb, then the onions and seasoning, more pepper than salt. Fill the pot with water, three-quarters up to the level of the onions, bring to the boil. Cover, turn heat to lowest setting and cook for three hours. The result should be a thick meat and potato stew, with the onions completely melted. Bring the lard and water to the boil. Sieve flour and salt into a large bowl, add pepper and sugar. Pour the hot liquid into a well in the centre of the flour, and using a sturdy wooden spoon quickly form into a soft dough. Divide dough into eight equal pieces (approximately 90 g each), cut again – two thirds for the base, one third for the lid. Push the dough into the bottom and sides of small deep pie tins, diameter 8 cms. Pack the tins with the filling, roll the remaining dough out, place over the top of the filling, crimping the edges. Pierce a hole in the centre of the lid. Reduce oven temperature to 180°C, bake for 90 minutes. Pellegrino Artusi is a legend in Italy, an artist in Florence, where he resided for many years, and a god in Forlimpopli, where he was born and is now celebrated by Festa Artusiana, an annual festival of food. For a country with an endless number of cookbooks, it is hard to believe sometimes that the Italian home cook always returns to the great favourite – the Artusi interpretation of regional Italian food (and more besides), first published in 1891 by the author after his tome was rejected by numerous publishers. be written with the home cook in mind, especially those who could not speak or read French, the language of cookbooks in 19th century Italy. Italian language publishers did not see the point of producing a cookbook for the home cook. Artusi persevered. He employed Florentine typographer Salvatore Landi and managed to get the Florentine publisher Bemporad and Figlio to distribute the book. 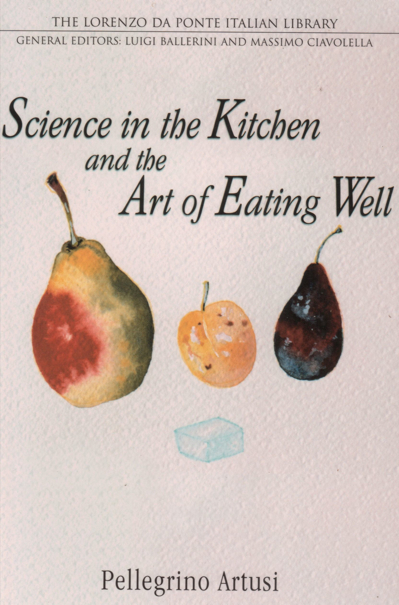 By 1910 La Scienza in Cucina had sold 52,000 copies and was being recognised, according to Luigi Ballerini, as ‘the most significant Italian cookbook of modern times’. With 790 recipes Artusi set a trend that continues today with modern Italian cookbooks that often contain 800 recipes in big thick tomes. Many of these modern cookbooks are compiled by food writers who collect recipes from chefs and cooks clearly influenced by Artusiana. The Artusian influence resonates down the years to us. Yet one thing is always missing in these modern cookbooks and that is Artusi’s idiosyncratic prose. Knowing it would be foolish to patronise a home cook he kept his instructions to a minimum and always imparted a little wisdom. Some have said his manner was typical of the Florentine he had become. More likely he realised he would not get away with anything but common sense. His opening lines in the section on broths, aspic and sauces (always the place to start in any kitchen) illustrate this perfectly. His explanations often touched on irony. He laced his entries with anecdotes. ‘I questioned a street vendor in Romagna on the subject (of castagnaccio – chestnut cake). I described this chesnut cake to her, and asked why she did not try to earn a few pennies selling it. In her foreward to the University of Toronto Press English language edition, Michele Scicolone makes a very relevant point. The fact of the matter, as Artusi might have said, is obvious. If you want to know what traditional Italian food is then look no further than this book. It is one of a kind! Arguably one of the most entertaining cookbooks ever written. La Scienza in Cucina has been translated into various languages. A complete translation in English with an interesting foreword and an extensive introduction is available here. See here for biographical and current information on Artusi and his legacy. All books reviewed in FF will shortly be available to purchase direct from Small World Wholesale. The chocolatiers of hazel mountain on the edge of the Burren in north Clare in the west of Ireland have every reason to celebrate their first year in business. They are heading a trend that is seeing the art of chocolate-making move out of its traditional centres in Belgium and Switzerland, and setting a trend that has been the preserve of large-scale factories for far too long – cocoa bean roasting! 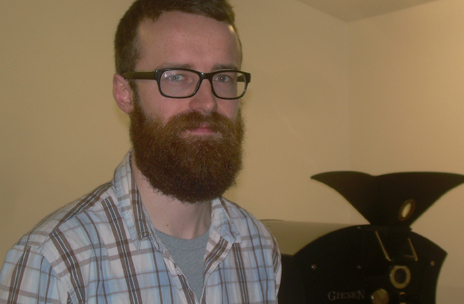 Dara Conboy, a 25-year-old from county Sligo with a background in coffee bean roasting, is the head roaster on hazel mountain. Recruited by John and Kasia Connolly to get the flavour out of the beans they import from Madagascar and other tropical cocoa growing regions, Conboy is an Irish chocolate expert. He can talk chocolate all day long. Accompanied by Anna Murphy, a young pastry chef employed to make confections with their chocolate, the Connollys and Conboy are a unique team in rural Ireland. But they are not alone in Europe. The idea that artisan chocolatiers can roast their own cocoa beans and make their own distinctive chocolate has been seeping into the creative consciousness among European food artisans for several years. This is not about the mass production of an homogenised product, it is about the flavour and taste that can be coaxed out of cocoa beans with their own delicate aromas, then transferred into artisanal chocolate of quality. Melt chocolate in hot coffee, stir add whiskey and a pinch of sugar, stir again. 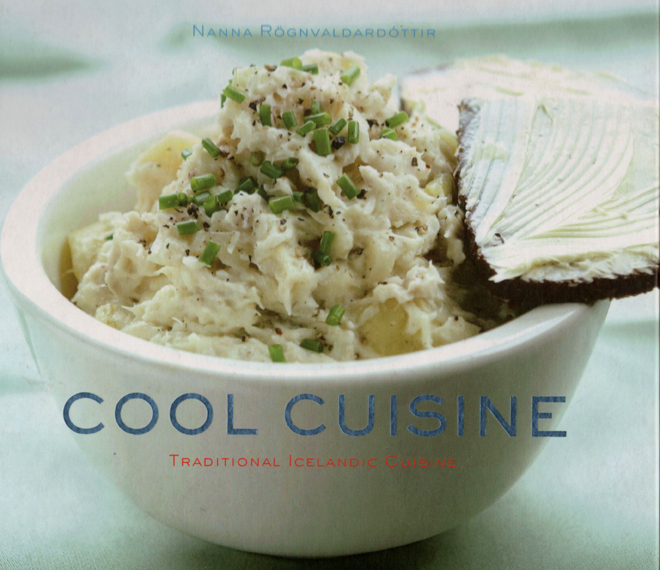 With Cool Cuisine Nanna Rögnvaldardóttir has made an attempt to modernise Iceland’s traditional recipes for a global audience. The result is a gem of a cookbook with numerous iconic recipes that can only be described as mouth watering. What makes this book absolutely fabulous is the fact that the recipes are flawless. Her method in each recipe is precise. A joy to cook! Helga Sigurðardóttir championed what Rögnvaldardóttir has called ‘the epitome of Icelandic-Danish cooking, the comfort food modern-day Icelanders feel nostalgic about but rarely cook themselves; flour-thickened sauces, the Sunday roast leg of lamb, pork roast with cracklings, lemon mousse, prune compote, fish salad with mayonnaise sauce, meatballs in brown sauce with jam, and Danish apple charlotte’. Rögnvaldardóttir has gone for traditional dishes that combine largely Icelandic ingredients – fish, lamb, potatoes, berries, game, sea birds and sea vegetables, and dairy produce – with a few overseas ingredients. 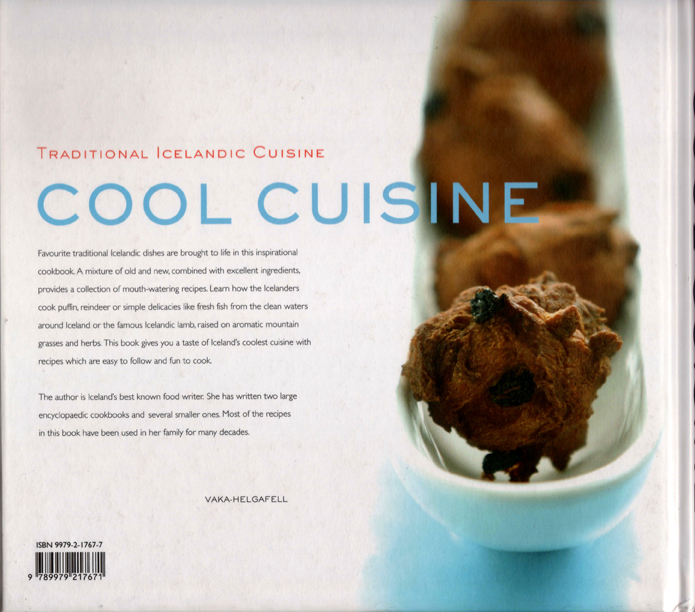 As she puts it, ‘many recipes mix traditional Icelandic ingredients and exotic vegetables, fruits, and spices’. She has been sparing with the exotic influences. The result is a book full of interesting recipes. She has divided these into four areas – ocean, coast, countryside and mountain. Curried Haddock with Pineapple, Pepperoni Haddock, White Chocolate Skyr Tart, Cocoa Soup, Cinnamon Rolls, Lamb in Curry Sauce, Dried Fruit Soup and Reindeer Steaks with Red Wine Sauce are her examples of the native-exotic tradition. Then there are the dishes that are uniquely Icelandic – Rye Flatbread, Skyr with Berries, Iceland Moss Soup, Braised Wild Goose, Juniper-Cured Salmon, Blood Pudding, Leaf Bread, Smoked Leg of Lamb, Trout with Dulce Sauce, Marinated Seabird Breasts, Halibut (or sweet-sour) Soup, Grilled Langoustines and Fish Balls. Cool Cuisine does not do justice to the range of work produced by Rögnvaldardóttir. Her best work has not been translated from Icelandic, and this delightful colour production only hints at her culinary genius. It disguises some of the most tantalising recipes available from any cookbook anywhere in Europe. An English language edition is available online. All books reviewed in FE will shortly be available to purchase direct from Small World Wholesale. To egg or not is the question good cooks ignore when making perfect potato dumplings, known as gnocchi in Italy. The addition of eggs is associated with Alsace and Piedmont where the technique aids the kneading process, but produces harder gnocchi. The Alsace version calls for larger pieces, shaped between two spoons. A ratio of 2:1 raw grated potatoes to cooked puréed potatoes is mixed with two eggs and sufficient flour to make a smooth paste. These gnocchi are seasoned with salt and pepper and a pinch of nutmeg. In Veneto expert gnocchi makers select potatoes that will not absorb too much flour and hold their shape while cooking. A 4:1 ratio of boiling potatoes to white flour should produce the light fluffy effect demanded by gnocchi aficionados but beware, there are some difficulties. Marcella Hazan gives one of the best descriptions for shaping Veneta gnocchi using the prongs of a fork. She recommends small gnocchi, 2.5 x 2 cm pieces, which are pressed against the inside prongs and flipped toward the handle of the fork. In Slovakia, where they marry old potatoes to a tangy sheep’s cheese called bryndza, the debate is also a matter of preference. The traditional method for making bryndzové halušky is without eggs and a high potato to flour ratio of 5 to 1. Then try eating bryndzové halušky with a 3 to 1 ratio made with egg, coated with grated cheese and sour cream, and served with more cream! In a large bowl work potatoes, flour and salt (and if using the egg) into a light dough until it comes away from the edges of the bowl. Rub or cut into small dumplings. Bring a pot of salted water to the boil, add the dumplings, cook until they rise to the surface, about ten minutes. Spoon 100ml of the liquid into a bowl with the cheese, fork and whisk into a thin sauce. If desired mix half of the sour cream into the cheese sauce. Fry the bacon until the fat runs, drain the fat and crisp for three minutes, turning constantly. Arrange the halušky in a bowl, cover with the bryndza sauce, top with the bacon. Serve with remaining sour cream. Every Italian will tell you quietly that the secret to gnocchi is hidden in the choice of potato. These would be the varieties of Agate, Agria, Amber, Arizona, Chopin, Finka, Marabel, Monalisa, Universa and Vivaldi grown in Viterbo, between Umbria and Tuscany. The moderate Lake Bolsena climate and potassium-rich volcanic soils produce potatoes with a pasty consistency, ideal for preparing gnocchi. Since 1977 an annual Gnocchi Festival has been held in St. Lorenzo Nuovo. Pass potatoes through a fine colander or potato masher. Add half the salt salt. On a clean surface combine potatoes with flour into a pasty dough. Roll into a sausage 5cm thick, cut into 2cm slices. Press each piece with the handle of a knife, to form a cup shape. Bring a large saucepan with water and remaining salt to a rolling boil. When they rise to the surface, remove with a slotted spoon. Serve with a dressing of cheese. Combine potatoes, the two flours, egg and salt in a large bowl. On a floured surface roll into a sausage 5cm thick, cut into 2cm slices. Bring a large saucepan with salt and water to a rolling boil. Add gnocchi in batches. When they rise to the surface, remove with a slotted spoon into a bowl. Toss in the pesto. A whole different potato dumpling. Bake potatoes in 160°C oven for 45 minutes, peel and mash. Leave to cool. In a large bowl mix potatoes with the egg and flour. Shape into gnocchi. Bring to the boil in a pot of hot water. Reduce heat. When gnocchi rise to the surface they are ready. Melt the butter in a large saucepan, fry the cinnamon for ten seconds, add sugar and grana. Toss maneghi in the spicy-sweet butter. Pesto has origins in several Italian regions. Like the pizza and its association with Naples, the most famous pesto is an iconic traditional dish of Genoa. Pound basil with garlic, about 30 leaves for every clove. Use salt to aid grinding. When the mixture turns into a bright green liquid, add pine nuts. Pound until incorporated. Add Italian cheese of your choice, then the oil a drop at a time until the consistency is just right. Fresh pesto is dangerous. Use your imagination and don’t eat too much in one go. Truely one of the great traditional dishes of Europe, a masterpiece of rustic perfection if cooked correctly. Sadly this dish is beginning to fade from the menus of provincal France because it is no longer an integral aspect of rural life, more often an expedient set of choices from the supermarket. Having said that all the ingredients can be bought in a good Carrefour during festive times, but to give this feast full recognition the ingredients need to be of the highest quality. Apples and pears are more popular than apricots and prunes as the fruits to go with roasted goose these days. 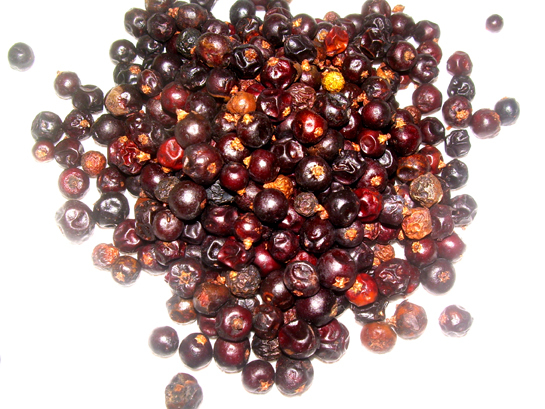 The intrepid cook usually finds a way to use all four fruits, which can be fresh or dried. As for the goose, something between three and four kilos is perfect, with giblets and liver included. Sauté onions or shallots in the butter for ten minutes over a low heat, add bacon and cook until crispy, then finish with the liver, about five minutes. Leave to cool. Combine bacon-liver mixture with the marrons, rice or walnuts, add parsley root, raisins, orange confit or marmalade, sage and apple brandy or calvados. Work in the apple and carrots, add two splashes of brandy, season with nutmeg, pepper and salt. Stuff three prunes into the core of each apple, bake for at least 30 minutes below the roasting vegetables. Make a small slit in each apricot, insert an almond, wrap in a slice of bacon. Grill turning until the bacon is crispy. Stuff goose, sew tightly both ends. Place goose on a rack above a deep roasting tray. Cook for 30 minutes. Reduce heat to 180°C, then start basting with the fat that has gathered in the tray every 15 minutes for an hour. Pour out the fat, then pour in 250 ml of boiling water. Place giblets in this water. Parboil potatoes for ten minutes, leave to cool. Baste the goose with the fatty water every 15 minutes for two hours. Turn the goose half way through this stage. keep warm. Add the giblets to the pan. Increase oven temperature to 210°C. Pour four tablespoons of the goose fat into a separate roasting tray, fill with the carrots, parsnips, potatoes and onions. Season, throw in the garlic and place rosemary sprigs on top. Roast for 45 minutes, test vegetables and cook further if necessary. During this time bake the apples, grill the bacon wrapped apricots and make the sauce. De-glaze the goose tray with the wine and orange juice, add three tablespoons of giblet liquid, season and reduce. Serve the goose with the roast vegetables, baked apples and apricot wraps, the sauce in a jug. The dark meat and the fruit and nut stuffing from the roast goose with fruit are the essental elements in this dish, albeit as a means to use leftovers. Tapénade, a dish of the Provençal region of south-east France and specific to Marseille, was originally made by pounding fresh capers with anchovy fillets in a mortar, gradually drizzling olive oil and lemon juice into the mixture, finishing with a grinding of black pepper. This mixture was added to pounded hard-boiled egg yolks and stuffed into halved eggs, then served as an hors d’œuvre. Over time stoned black olives were added to give the tapénade depth, and to allow it to be served pâté-like. Some recipes called for tuna fish, others for garlic, herbs and mustard. Tapénade remains a dish of Provence, because the ingredients – especially the capers (which give this sauce its name) – need to be fresh. Pound the anchovies and capers in a mortar (or blender), add oil, brandy and sufficient lemon juice to make a sauce, thicken with the hard-boiled yolks, season with pepper. Stuff the mixture into the eggs, serve with a drizzle of the tapénade over each halved egg. The quick method is with the food processor. Garlic and olives enrich this paste. If that is your choice, blend the anchovies, capers, garlic, onions and lemon juice. Strain through a sieve, then blend again with the oil and pepper. For the simpler version, pound anchovies and capers in a mortar with the lemon juice, adding sufficient oil to produce a creamy smooth texture. Spread on fresh white bread. Blend everything in a food processor, serve on toasted fresh bread. Venetian restaurants pre-cook a basic risotto to save time, halting the procedure after ten minutes when the rice is part-cooked. Ironically, given the relationship the people of the lagoon have with air-dried cod, it is the perfect method for risotto alla stoccafisso. In a deep wide frying pan, toast the rice in butter and oil over a medium heat, deglaze with wine and begin to add hot stock one ladleful at a time. Cover the pan, turn off heat, allow to cool, then remove contents to a separate container. Resume cooking after several hours in a clean frying pan. An hour before resumption, place the cod in a saucepan, cover with milk and simmer over a low heat. Drain the milk from the cod, flake it and stir into the rice. Increase heat, add stock and continue until the rice is al dente, about ten minutes. Finish with butter and cheese, garnish with parsley. In a deep, wide frying pan over a high heat, toast the rice in oil, add a ladleful of hot stock and stir continuously until the liquid is absorbed. Decrease heat to medium, add another ladleful of stock, simmer and stir until the liquid is absorbed. Repeat this process until the rice is al dente, about 12 minutes. Add the creamed cod, stir into rice, cover and simmer over a low heat for five minutes. Finish with butter, cheese and parsley. Remove from heat, leave to rest for ten minutes. Sauté garlic and onion in butter and oil in a deep, wide frying pan over a low heat, about ten minutes. Increase heat to high, coat rice, toast for three minutes, stirring constantly. Pour in the wine and allow to evaporate, decrease heat to medium, add a ladleful of the hot stock, simmer and stir until the liquid is absorbed. Repeat until rice is creamy but not cooked through, about 15 minutes. There should be some liquid floating on the surface of the rice. Lay the fish on top of the rice, in stages according to the cooking requirements of the fish, covering the pan each time – for clams, mussels and shrimp aboit five minutes, for cuttlefsh and squid about ten minutes. Complete with butter, cheese, parsley and pepper. Cut melon into two halves, deseed and skin, cut into flesh into cubes. Put half the cubes into a food processor, refrigerate the paste. In a deep, wide frying pan sauté shallots in oil over a low heat, about 15 minutes. Increase heat to medium, coat and toast rice, add a ladleful of broth, the remaining melon and shrimp. When the rice absorbs the liquid, add more stock. After three minutes add the melon paste, increase heat, stir and cook until the rice absorbs the liquid. Reduce heat to low, keep stirring, add more stock and test, adding another ladleful of stock if necessary. When the rice is al dente, add cheese, saffron and salt. Milan in the 1500s was the centre of rice production in Italy. An irrigation system of canals and locks criss-crossed Piedmont, Lombardy and the Veneto, covering the length of the Po Valley from the alps to the Adriatic. Now the rice varieties known as arborio, baldo, carnaroli and vialone nano are grown for the purpose of making a fabulous range of creamy risotto dishes. One more than any other has come to symbolise the rice of the Po Valley – Risotto alla Milanese. Risotto alla Milanese is also made with beef stock, bone marrow, butter and white wine, the marrow being added with the onions, the white wine to deglaze and the butter as a finish. A third version has Marsala wine. Pancetta can replace the marrow. Saute onions in butter in a deep, wide frying pan over a low heat, about ten minutes. Coat and toast the rice in the butter and onions. Increase heat to medium, coat and toast rice in the butter and onions, add a ladleful of broth. When the rice absorbs the liquid, add more stock and continue for ten minutes, then add the saffron-infused stock. Add more stock, cook until rice is al dente, a further seven minutes. Dress with cheese, cover and leave to rest for ten minutes. Across the Po Valley on the Vercelli plain beyond Milan in Piedmont, the Saluggia bean is joined with Novara salami to produce a risotto rooted in local tradition. Cook the beans in the broth, strain and retain the liquid. Melt the oil and butter in a deep, wide frying pan over a low heat. Saute pancetta, salami and onions for ten minutes, combine with half of the beans. Add rice, coat and toast for five minutes over a high heat. Reduce heat to medium, cover rice mixture with a ladle of the beef-bean stock. When the rice has absorbed the liquid, add another ladle and repeat until the rice is al dente and there is still some liquid in the pan, about 20 minutes. Stir in remaining beans, garnish with pepper, leave to rest for ten minutes. If these recipes appear daunting, here is the basic recipe to practice on. Sauté onion in butter and oil over a low heat for ten minutes. Add risotto rice, coat and toast over a low heat for five minutes. Pour in a ladleful of hot stock, cook until the rice is absorbed. Keep adding ladlefuls of stock one at a time allowing the rice to absorb the liquid, continuing until the rice is al dente, no more than 17 minutes. There is a small variation in absorption rates between risotto rices, which take three times their weight in liquid. There should be a layer of liquid on the surface of the rice. Add a large knob of butter and some grated cheese, grana padano or parmigiano. Cover, leave to rest for ten minutes. The meat pie appears to be a northern European invention with a very long history. Traditionally made with short crust pastry – flour, lard and water – the original pies were filled with all kinds of game meat and flavoured with the foods of the forest. Although there is an argument that pork meat was used, particularly in Britain, and this established the pie tradition we know today. Certainly it became a city-country divide – game in the country, pork in the city. A puff pastry lid is adequate if the emphasis is on the contents, and it is easier but the traditional dish calls for thick hot water pastry. These days the kind of pastry once used for raised pies is no longer acceptable, so the choice of dough is entirely personal. This is the traditional hot water pastry recipe, the icing sugar a modern touch. Game pies were always about the fruits, game, herbs, spices and vegetables of the field and forest, and this combination is still favoured across nothern Europe. Marinade the meat overnight, drain any excess liquid. Sauté garlic and onions in oil over a low heat in a large frying pan, add mushrooms and when they begin to wilt add the bacon and liver, cover and simmer for ten minutes, leave to cool. Work the meat and mushroom mixture with the herbs and spices in a large bowl into a homogenous mass, add apricots and chestnuts, and any wild berries to hand. Set aside. Push the dough into the bottom and sides of a large pie tin, cutting off the excess dough to use for the lid. Pack the tin with the filling, roll the remaining dough out, place over the filling, crimping the edges. Left over pieces of dough should be shaped into decorations for the lid. Pierce a hole in the centre of the lid. If a golden colour is desired, remove pie from oven, brush lid with a beaten egg, then bake for 30 minutes at 160°C. Heat the jelly stock, pour slowly into the hole in the centre of the pie lid, leave to cool. Traditionally baked with a casing to keep the flavoured meat clean and moist, then discarded, modern raised pies are made with a standard hot water pastry meant to be eaten. Cook ingredients in a large pot for three hours, strain, reduce to 500 ml. Combine the filling ingredients in a large bowl, set aside. On a clean surface knead the dough for five minutes. Separate 225 g of the dough for the lid, cover with a warm towel. Roll the remaining dough into a ball, place on a large piece of greaseproof paper. Push a breakfast bowl, 15 cm wide, into the dough, then work it into the shape of a large pie casing, drawing up and straightening the sides, which should be thick. Leave to cool under a towel. After 15 minutes fill the pie, roll out the dough for the lid, place on top and crimp the edges. Make a hole in the centre of the lid. Bake for two hours, glaze with a beaten egg wash, return to oven and bake at 160°C for an hour. Mix tamarind with stock, cinnamon, mustard and paprika. Combine meat and onions, add breadcrumbs, tamarind-spice water. Season with nutmeg, pepper and salt. Knead meat mixture until the fat starts to come off on the fingers. Put the water into a saucepan, add lard and bring to a low boil. Remove from heat. Sieve flours into a large bowl, add salt, form a well, pour lard liquid in and quickly stir with a spatula, bringing the ingredients together into a soft dough. Quickly separate the dough into 75g pieces for the pie bottoms and 25g for the pie tops. Roll into balls. Put a large ball in a tin. Using both thumbs push the dough evenly around the interior of the tin, with a little bit of overlap at the rim. Fill three-quarters of the tin with the lamb mixture. Repeat until all the filling is used up. Make 8cm diameter disks of the small balls. Lay a disk on top of the filling and using a thumb and forefinger, press the disk into the dough to form a raised lip around the rim of the tin. Make two holes in the lid of each pie, pour a teaspoon of hot stock into each hole. Cover pork in water in a saucepan, simmer for an hour, strain, reserve jellied stock. Combine milk and water, bring to a slow boil, add lard, allow to melt. Mince anchovies into the pork, season. Sieve flour and salt in a large bowl. Pour lard liquid into flour, stir quickly with a spatula, form into a soft dough, knead for five minutes. Fill three-quarters of the tin with the pork mixture. Repeat until all the filling is used up. Polenta stares at us from the past. Of all the foods of antiquity none bar unleavened bread has the longevity of polenta. Coarse ground grains and pulses have been an intregral element of our daily diet for tens of thousands of years. By the time they were written into timeless history, their evolution beyond flours had been forgotten and despite archeological evidence all we can do is guess what our ancient ancestors did with them. Modern polenta, made from dried corn meal, is a clue. Before corn was introduced into Europe and ingenious cooks mixed it with local cheeses, herbs and meats to form the polenta dishes we know today in the Balkans, in Italy, Sardinia and Sicily, polenta was made with barley, millet, sorghum and spelt grains, and with countless varieties of peas and beans, and with chestnuts – a tradition that continues in Italy. Like the polenta of today it was made without addition or adornment. In some regions it was enriched with whatever was at hand, fresh berries, herbs and other fruits of the forest, as was the tradition in alpine Italy. There were no rules, and definitely no recipes. If anyone did record polenta recipes it was the Etruscans, the Italic people who occupied northern and middle Italy before the invading Phoenicians and the conquering Romans. These pagan people transformed the forests and swamps of Etruria into fields and gardens, growing the grains and legumes that accompanied the fauna, fish and fowl served at their sumptuous banquets and feasts. thick pulmentario made from ground barley cut into slices and adorned with fish and meat. Not when it is now possible to eat squares of corn polenta adorned with prosciutto or sardines in a modern Florentine cafe. The history of polenta becomes interesting when the contrasting recipes of the Balkans and Italy are examined, and old recipes, with chestnut flour or semolina, are reinterpreted. The potential of polenta has always been there, and the connections are closer than we think. Pellegrino Artusi refers to a 19th century recipe that calls for corn polenta cooked in milk with salt and baked with layers of béchamel and parmigiano. This is not that dissimilar to the mămăligă and kačamak made on the Balkan side of the Adriatic. Boil the water with salt. Using a funnel pour the corn meal in a steady flow into the water, stirring vigorously with a wooden spoon. Vladimar Mirodan describes this procedure in his Balkan Cookbook: ‘When the water begins to bubble, sprinkle two tablespoons of the maize (corn) flour over the surface of the water. ‘Allow the water to boil furiously and pour the rest of the maize flour in a steady trickle stirring all the time with a wooden spoon in a clockwise circular motion; do not change the direction of the stirring. The result is a thick polenta. Leave to cool. Divide the cooked polenta into two equal portions, one into a large bowl with the butter. After ten minutes stir the polenta into the melted butter. Combine the cheese with the eggs. When the polenta with the butter has cooled, add the cheese-egg mixture and mix with a fork into a creamy consistency. Lightly grease a large baking tray with the oil, sprinkle with semolina, then the pepper. Press the plain polenta into the semolina-pepper, covering the tray. Place the cheese polenta on top, covering the bottom layer. Smooth with a wide blade or make ridges with a fork. Bake for 35 minutes until the surface has taken on a golden brown colour. Prepare the polenta using the previous method, then stir the butter in while it is still hot. This will produce a softer polenta. 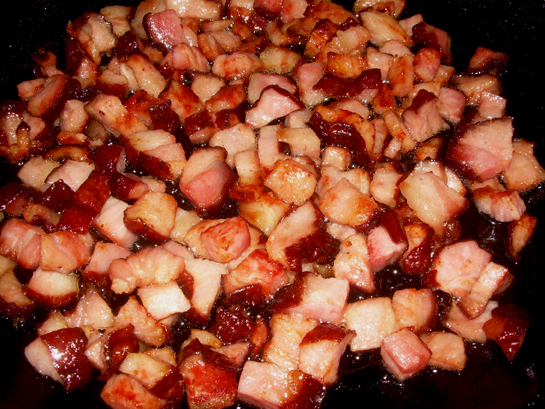 Fry bacon over a medium heat for five minutes until it is crispy, pour fat into a large baking tray. Spread a thin layer of potenta on the tray, sprinkle the grated cheese followed by the sour cream, dots of curd cheese and the bacon, repeat until there is only cheese and cream left. Finish with a layer of grated cheese, curd cheese and sour cream. Bake for 45 minutes, until the top begins to brown. A note on cheese and cream: Mămăligă is made throughout the Balkans, the cheeses and creams being the specific difference between regions. Generally the choice is curd cheese made from cow, goat and sheep milk, Sirene in Bulgaria, Feta in Greece, Telemea in Romania. The choice of hard cheese is Cașcaval (aka Kachkaval). The choice of cream varies between thick sour cream known throughout the Balkans and eastern Europe as smetana (smântână in Romania), and home made fermented cream called kajmak. 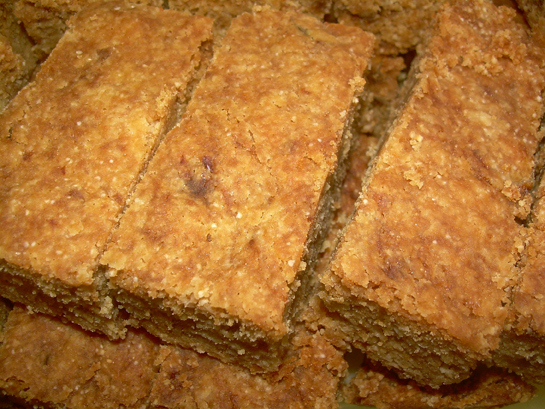 Kajmak is preferred in the eastern Balkan countries where mămăligă is known as kačamak. Using a funnel pour the chestnut flour in a steady flow into the water, stir to incorporate, then leave to cook over a medium heat, stirring occasionally, about 45 minutes. Serve with ricotto, pancetta and sausage. Follow the cooking instructions from the packet of polenta for amount of water and cooking time. Boil the water with salt and a splash of oil. Using a funnel pour the corn meal in a steady flow into the water, stirring vigorously with a wooden spoon until cooked. Pour out into a deep sided short baking tray, lightly greased. When the polenta has cooled turn it out onto a work surface, cut into squares, 5cm x 5cm x 1cm. Whip a tablespoon of olive into the egg yolk, combine with the emmental and ricotta in a saucepan over a very low heat, cook until bubbles begin to appear on the surface. Fry the polenta squares in a tablespoon of oil, two minutes each side. Serve with the cheese sauce, garnish with parmigiano. This is an adaptation of Artusi’s recipe for polenta soufflé. Bring milk to the boil over a high heat. Using a funnel pour the corn meal in a steady flow into the milk, stirring vigorously with a wooden spoon until cooked. Remove to a bowl, stir in butter, sugar and salt. When the polenta is cold stir in the egg yolks. Beat the egg whites, stir into the polenta, and transfer to buttered ovenproof moulds. Bake for 15 minutes, until the polenta soufflé rises. Sardinia, outside the circuit of civilisation as D. H. Lawrence put it, has always produced traditional food a class apart from the peninsula, and the method with polenta is no different. It compares with the Balkan tradition, which is interesting. Ideas being transferred by the fishers of the Mediterranean seas perhaps? It wouldn’t be the first time. Using a funnel pour the corn meal in a steady flow into the water, stirring vigorously with a wooden spoon until. After ten minutes add the remaining ingredients, continue to stir and when ready pour out onto a clean work surface, cut in slices and serve, or use cold with adornments of your choice. Every spring and autumn the wild forests of Europe are occupied by eager hunters whose task is nothing more than back-breaking. The hunt is relatively easy to those who know the signs that tell them what to ignore. Their quary is a delicacy. It requires a foraging instinct and a keen eye. They know their objects of desire by local names, we know them as mushrooms. 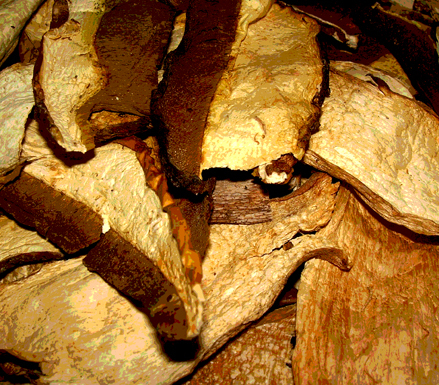 Mushrooms are highly prized, and always have been because they are protein and vitamin rich, and taste good. Barley and Mushroom soup is one of the oldest traditional dishes in Europe. It combines field and forest, is earthy and wholesome. Besides soup, barley and mushrooms came together as a porridge, not so much these days. Creamed mushroom soup is also a very old dish, and is still found on a menu in a backstreet cafe – or in a can. Mushroom sauce is as popular today as it was two thousand years ago. Liver sautéed with mushrooms and onions has been reinvented so many times it is a wonder it still retains its original charm. Mushrooms are stuffed in various foods, from eggs to pies to poultry. They are an essential ingredient in dumplings, omelettes, pancakes, pâté (as a duxelles) pies (pirogi and pirozhki) and stews. Chanterelles are pickled, forever it seems. to sauces, soups and stews. in sauces, soups, stews and stuffings. 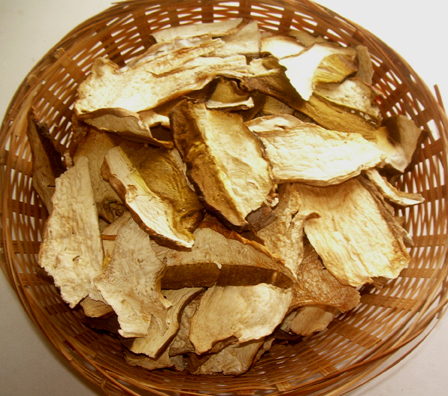 Chanterelle – pfifferling, girolle (yellow, black and white trumpets) – is a native to Europe as a wild species. Anything goes, especially fried. 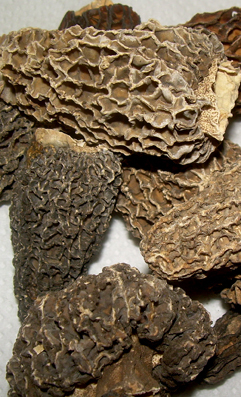 Morel – black, yellow and white – is a delicately scented mushroom more often available dried. Popular in French, Spanish and Swiss traditional cooking, often as a simple dish sautéed in butter. Large morels are filled with pork sausage meat. Oyster, grown in clusters on deciduous trees, has been successfully cultivated, primarily for its earthy flavour when picked young. Dried and ground it is used as a garnish. Oyster mushroom omelette is arguably one of Europe’s most popular traditional dishes. Truffle – black Périgord, white Piedmont – is found in old forests near host trees, using spores to propagate. Attempts to cultivate them have failed and with the loss of wild forest they remain elusive except to trained dogs and untrained sows. Used in sauces and pates, especially pâte de foie gras. Sauté pancetta in half the butter until crispy. Remove from pan. Sauté chicken liver in remaining butter, and oil for three minutes. Mix in shallots and mushrooms, fry over low heat for ten minutes. Add pancetta, thyme, bay leaves and seasonings, and stir. Remove with slotted spoon, and put in a bowl with anchovies. De-glace pan with wine, add to liver mixture. Add pear to mixture, allow to cool, incorporate eggs. Blend mixture, spoon into a baking dish, cover with foil. This Finnish mushroom salad is more often than not made with mixed mushrooms out of a jar with sour cream mixed with lemon juice, garlic salt and dill. The fresh version is better if you can get the mushrooms. Soak the mushrooms in cold water for ten minutes to remove dirt and grit. Dry with paper towels. Mix sour cream with lemon juice, onions and dill. Gently fold mushrooms into the cream. Soy milk, flour and oil reduced to a sauce is a vegan alternative to the cream. Another marriage of mushrooms and sour cream dish, typically Russian, despite being common across northern and eastern Europe, with few variations. Fry mushrooms in butter and if using scallions until soft. Mix sour cream and flour into a loose batter. Stir into mushrooms, add dill, lemon juice, pepper and salt. Alternatively pour mushroom mixture into an ovenproof dish, top with grated cheese and bake for 20 minutes in a medium (175°C) oven. Duck is eaten throughout Europe, continuing a tradition thousands of years old. While the Egyptians and Chinese are credited for the domestication of the wild duck, it appears the Slavs also had the same idea – more than 3000 years ago. 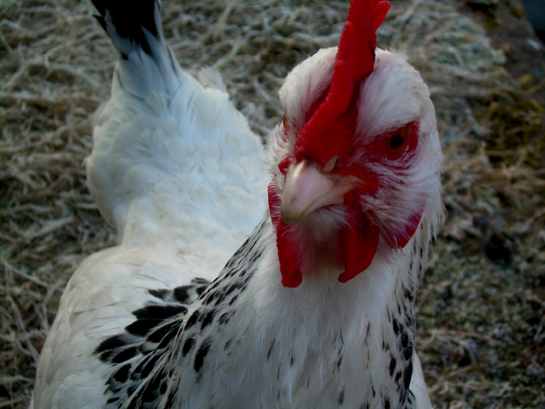 There are several European breeds, of which the Barbary is preferred because of its lean firm flesh. In France a cross from the Barbary and Nantes breeds called the Mulard is raised for the production of foie gras, the fattened duck (or goose) liver that is one of Europe’s most recognisable traditional foods. Maguelonne Toussaint-Samat devotes several pages of her History of Food to the fascinating and long history of foie gras. Wild ducks are very much the preserve of haute cuisine in western Europe these days, while eastern Europeans treat them the way they have always done – by keeping traditional dishes made with wild duck on the menu. Mallard and Teal are the popular breeds. Traditionally only the breasts were considered edible. When the whole duck was cooked, it was simmered in an aromatic stock and served with a punguent sauce. Vladimir Mirodan records a dish he suspects was brought to Bessarabia by invading Tartars, who slow baked duck in a herb and vegetable stock, then served it with a cherry sauce. Duck fat is treasured in some European food cultures. Potatoes par-boiled, then roasted in duck fat remain an essential traditional food in eastern Europe and Russia. Whether domesticated or wild, the flesh and liver of ducks is perfect for making pâtés and terrines. This duck pâté, originally made in the 17th century, is still popular despite many changes to the original recipe. Make the pastry dough, rest in fridge for at least two hours. Combine the offal, pork and veal with the onions, mushrooms and shallots, seasonings and eggs. Mix well, add a generous splash of brandy. Preheat oven to 180°C. Lay the duck flat on an oiled surface, cover with filling, bring together and carefully sew the edges. Roll the dough to fit into and cover your terrine or dish. Brush dough with butter and place the stuffed duck inside. Bring the dough over the duck, sealing the edges with more butter. Decorate, glaze, then pierce the dough lid in two places, creating small holes to allow steam to evaporate. Bake for 105 minutes, 150°C for the last 45 minutes. This version includes ingredients that were once typical, and this has a genuine paté filling. The bacon, duck and veal is chopped and put through a mincer for a coarse mix, which is then sieved into a paté. The rabbit fillet is left whole. 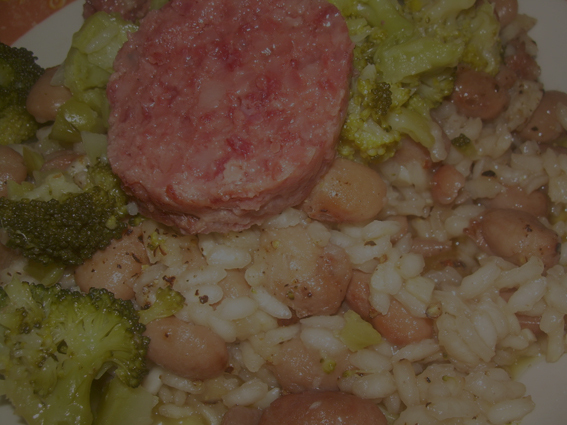 This recipe has a higher proportion of meat, and much less fat. Prepare the dough a full day ahead of baking. Leave in the fridge or a cold place. Combine all the meat except the rabbit fillet in a large bowl. Divide the dough into two pieces, one to cover the inside of the terrine and one for the lid, each with a little overlap. Stuff the filling into the terrine with the rabbit fillet in the middle, place the dough lid on top, sealing the edges. Decorate, brush with butter and make two small holes. A piece of rolled cardboard or foil can be used to make a funnel in each hole. This allows steam out and prevents the paté from cracking. Bake at 200°C for 75 minutes, 150°C for the last 30 minutes. Remove chimneys and pour the aspic into the holes, allowing some to overflow. Leave to cool, place in fridge. *1: Sauté one chopped onion, five shallots and 25 g of mushrooms gently in butter over a medium heat. Leave to cool. *2: Aspic for terrines is usually made with marrow-rich bones, usually pig and specifically trotters, slow cooked in a large pot with carrots, leeks, onions, seasoning and plenty of water, reduced, strained, clarified over a gentle bubbling heat with one egg white per 1.2 litres of stock and herbs, usually chervil and French tarragon, enriched with port of sherry, and strained again. For a dense aspic add some carrageen during the clarification stage. *3: Hard apples peeled, cored and cut into cubes replace the duxelles in some recipes. The exact quantities depend on the size of your terrine tins or suitable vessels, how much you want to make and what you want to flavour it with. Drain, leaving meat free of any bits, strain liquid into a pot, reduce over a medium heat to a smooth consistency, leave to cool. Saute onions in butter over a low heat for 15 minutes, add mushrooms and allow to reduce, season and leave to cool. Combine the ingredients, mix in the duxelles and the marinade sauce and stir thoroughly. Lay bacon into the terrine tin or tins, allowing each rasher to drop over the side. When the terrines are filled with the meat and forcemeat, the rashers should fold back over the top, without any gaps. Lightly place a layer of the smooth forcemeat on top of the bacon. Follow with a thick layer of rough forcement and then the marinaded meat. Repeat the rough forcement and meat mixture layers until the tin or tins are nearly full, finish with another thick layer of smooth forcement. Fold the bacon slices over to complete the seal. Place the tin or tins in a bain marie, cover with parchment and weigh with blindbake balls or something heavy to apply pressure to the surface. Drain the liquid from the tins, reserve. Quickly and carefully place the terrines into trays with enough room around each side. Pour as much liquid into the trays as each will take. Leave to cool. Remove from trays. When the terrines are cold, smooth residual fat and jelly over the sides, to make a seal. The duck fat poured out at the start of the process can also be used to seal and preserve the terrine. Wrap in parchment, store in fridge. Oriental flavours penetrated the recipe for roast duck over a century ago, so much that they are no longer thought of as foreign. Season cavity with salt and pepper, garlic, ginger, palm sugar and sweet soy. Cover and set aside. Put giblets (not liver) in the wine with the carrots, onions and tomatoes. 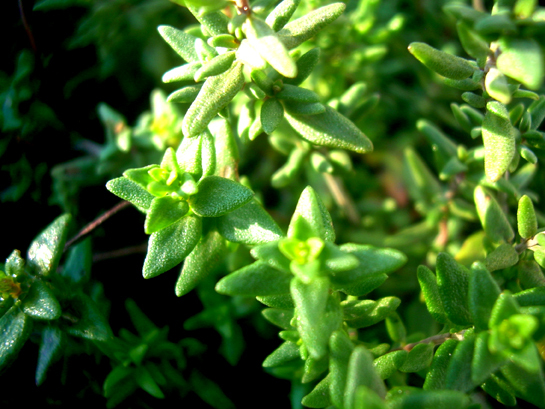 Bring to the boil, add salt and parsley, thyme, sage and water. Bring back to the boil, then reduce heat to low, simmer for an hour. You should be left with roughly one and a half litres of stock. Place duck on a rack or grill over a deep baking tray, cover loosely with foil, cook for an hour breast side up, then for another hour breast side down, drain fat. Put half of the stock in the tray, re-cover with foil, cook for a hour. Combine honey and oyster sauce. Remove foil, pour out and reserve liquid from tray. Pour in remaining stock. Rub honey oyster sauce mixture over all of the duck, brush and baste every ten minutes for forty minutes. Do not let the skin burn. Reduce the reserved liquid to make a gravy. Serve with baked apples, and potatoes roasted in duck fat. Breadmaking as it is known today probably started with the Romans. They used flour milled from rye, spelt and wheat. They made sourdough from boiled flour left to ferment, and got into the habit of keeping a piece of dough back for the next day’s baking. They used grape juice and honey to sweeten their bread. They made bread with butter. And they were very fond of spices, putting aniseed, black and white pepper, caraway, cumin and fennel into their bread. Panis Alexandrinus might therefore be the first spiced, sweetened bread. It contained cumin and honey, and was probably made with spelt. However, it was the Assyrians and the Greeks who introduced the concept of spiced, sweetened cake specifically for festive, marriage, religious and ritual occasions. Their cakes were made with cream, honey and a variety of spices. More significantly the peoples of these regions put dried fruit and nuts into their cakes, and probably into their breads. Spiced breads and cakes were popular in northern and western Europe after the 1100s, probably because the food cultures of eastern Europe and western Asia became known. Gradually fruit breads became functional at special occasions, especially at weddings and particularly at rituals and rites of passage – christenings, birthdays, first communions and military initiations. By the 1600s bread made with sourdough or a pre-ferment, dried fruits, candied citrus fruits, nuts, butter or cream, honey, yeast and sugar was commonplace in virtually every country in Europe. It seemed though that the tradition was rooted in Celtic, Germanic and Scandinavinan food cultures. Aromatic and dark, enigmatic and fruity, hutzelbrot is one of Europe’s iconic festival breads. This is a modern recipe. Soak fruit overnight in apple juice/kirsch, lemon juice, water and wine. For sweeter breads add sugar to marinade. Spoon out 500ml of the soaking liquid, bring to a quick boil, cool and add yeast. Mix flour with spices and salt, add yeast liquid, work into a dough. Turn dough out onto a floured surface, knead for ten minutes and leave to rise for two hours. Degas twice, at 45 minute intervals. Add fruit, nuts and peel, knead for five minutes and form into six oblong loaves. Place on greaseproof paper on a baking tray. Leave to rise for an hour. Brush loaves with apple juice and decorate with almonds, cherries and walnuts. Traditionally hutzelbrot was made with fruit grown in the valleys of Bavaria and Swabia, and was unsweetened. 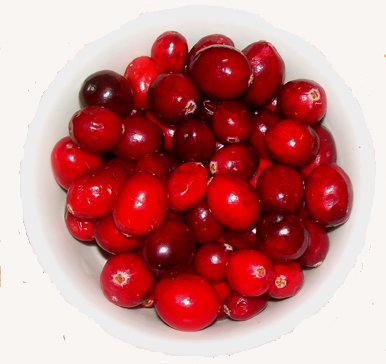 Gradually sugar was added, the fruit content increased with more variety of fruits. Soak the pears and plums for 24 hours in the kirsch and one and a half litres of water. The following day place the fruit in a large pot, bring to a boil in the soaking liquid. Cook until soft, then strain, preserving the liquid. When it has cooled, set aside 20ml and add the yeast to the bulk of the remaining liquid. Warm up the flour and sieve it into a bowl, add spices and salt. Add yeast water with 250ml water, form into a dough. Knead for 20-30 minutes until the dough is smooth. Mix the fruit into the dough. Shape into six small loaves, place on baking trays and leave to rest for three hours, or overnight. Brush with fruit water, return to oven and bake for a further five minutes. Wrapped in foil the loaves will stay fresh for several weeks. They can also be frozen. Angelo Marchesi makes a traditional panettone at his bakery on the Santa Maria delle Grazie in the heart of Milan using a tried and tested method with an old twist. Panettone is traditionally made with natural yeast. Most bakers achieve this by fermenting flour and water in a controlled environment. Marchesi aids the process by macerating hop leaves in mineral water. This liquid is strained and mixed with flour. Sourdough is then added in stages. Piergiorgio Giorilli, a master panettone baker, calls this the mother yeast and without it Milan’s favourite sweet bread is not the same. Without a doubt it is possible to obtain a good panettone using beer yeast,’ he says. ‘However, it will not have the same preservability or the same taste as one prepared with mother yeast. Furthermore, in panettone prepared with beer yeast it is not possible to incorporate the same quantity of eggs and butter. There are many critical points in the preparation of panettone. First and foremost, the mother yeast must be of optimum quality, the temperature of the dough, the correct leavening between the first and second kneading and the ingredients that during the second kneading must be added slowly, especially the sugar at the beginning of the second kneading. The quantity of fruit is significant, and the balance is difficult to achieve to the satisfaction of those who argue that panettone is a sweet bread. The authentic recipe by Francesco Elmi has that balance, according to panettone lovers. Dissolve sugar in the water, add the flour and the natural yeast. Turn out onto a clean surface, gradually add the butter, then the yolks. Knead for 15 minutes until the dough stretches without breaking. Place dough in a bowl large enough to allow it to rise three-fold. Leave to rise for at least 12 hours in a warm environment. Desired dough temperature is 26°C. Knead the flour into the risen dough, work in the sugar, the yolks a little at a time, then the salt followed by the butter and finally the fruit mixture. Leave to rise for an hour. Divide into required sizes and place in greased moulds, bearing in mind that the dough will triple in size. The dough temperature should be 26°C. Leave to rise for three hours. Bake for 55 minutes, until the crust is dark brown. Turn moulds upside down and leave to rest for three hours before removing from moulds. The remarkable similarities between sweetened breads across Europe would suggest a common heritage, the adventurous Romans perhaps? They carried herbs, plants and various produce like dried fruit across the continent, and freely shared their recipes as well as their rapaciousness! The peripheral areas of the ‘British’ Isles were not the only places where they refined the recipe. South of Milan in Florence, Pellegrino Artusi’s cook Marietta Sabatini made a panettone he said was worth trying. This is an adaptation of Marietta’s Panettone. It uses yeast instead of baking powder and includes fresh along with candied peel. Dissolve yeast in the milk with a large pinch of sugar. Sieve the flour and salt into a large bowl, add yeast mixture and form into a loose dough. Combine remaining ingredients, stirring thoroughly with a wooden spoon or with a hand-held mixer. Marietta suggests dusting moulds with powdered sugar mixed with flour. Leave to rise for 90 minutes. Preheat oven to 180°C, bake for 65 minutes for a large mould. Dissolve 40 g of yeast in the milk with the honey, and 100 g of the flour. Knead into a loose dough, leave for at least 16 hours. Soak chopped almonds, peel and raisins in the kirsch or rum. Dissolve remaining yeast in the sugar and two tablespoons of the whey. Sieve remaining flour into a large bowl, add salt, yeast mixture, remaining whey, eggs and spices. Bring together, fold onto a clean surface, knead into a loose dough, add fermented dough and work into a soft dough. Leave to rise for an hour, degas, leave for a further hour, then work in the softened butter. Leave to rise again for an hour. Work two-thirds of the fruit mixture into dough. Do not knead. Leave for an hour. Combine fruit purée with ground almonds, add remaining fruit mixture. Divide dough into four 600 g pieces, shape into rectangles, then flatten each one in turn. Spread almond paste along the middle of each rectangle, take the long end and fold over, to create a tunnel shape. Bake the stollen in the middle of the oven for 45 minutes. Increase the heat to 195°C, bake for 15 minutes. While still hot brush the surface with the melted butter, dust with icing sugar. Leave to mature for two days, then slice and eat.